DETROIT 48202: CONVERSATIONS ALONG A POSTAL ROUTE is a feature documentary that examines the rise, demise, and contested resurgence of Detroit through the lens of African-American mail carrier, Wendell Watkins, and the community of committed residents he faithfully served for thirty years. We take a journey with Wendell along his route, which winds through the center of what was, once upon a time, a vital and thriving city. We listen in on his conversations with his customers – the resilient Detroiters who share stories of resistance: pushing back against racial segregation in housing; challenging industrial and political disinvestment; and living on reduced pensions as a result of the municipal bankruptcy. Our characters also share stories of hope and propose creative ways to re-imagine an inclusive, productive, equitable and re-invigorated city. DETROIT 48202: CONVERSATIONS ALONG A POSTAL ROUTE is urgent. It asks us to ponder: will the resurgence of Detroit center on a high tech, and increasingly white downtown and follow the normative model as other urban spaces in crisis – or, will it opt to focus on the vast stretches of neglected neighborhoods that continue to deal with a 40% poverty rate, water shutoffs, tax foreclosures, poor transportation, and a school system in crisis? I haven’t lived in Detroit for many years, so I missed the dramatic disinvestment and decline that hit the city in the 1980s and continues to today. When I returned to Detroit in 2009, I was stunned by the devastation I witnessed and had many questions about what happened to the jobs, the people, and the buildings. It felt natural to turn to Wendell, a quintessential storyteller, to look for answers. That’s how DETROIT 48202: CONVERSATIONS ALONG A POSTAL ROUTE was born. Wendell granted me complete access and has been both a subject and partner throughout the production process. My relationship with Wendell opened doors for me to develop ties with residents along his postal route, several of whom are in the film. Other long-term friends in Detroit connected me to invaluable sources of information, scholars, and activists who have helped tell this story. The approach I took to making DETROIT 48202: CONVERSATIONS ALONG A POSTAL ROUTE flowed from my history with the city and my ties to Wendell. I stayed “close to the ground,” doing most of the cinematography as I followed Wendell on his route. I let Wendell lead me to the customers he thought had the most interesting stories to share about the history of Detroit and/or their current activism. My historical and archival research was guided by the stories Wendell and his customers shared. Interviews with scholars and journalists were used judiciously in order to foreground the voices of these mostly black Detroiters. During postproduction editor, Kathryn Barnier and I always made sure we were coming back to “our people” as often as possible. Throughout the production process I kept close contact with the film’s subjects, inviting them to work-in- progress showings and eliciting their feedback in rough-cut screenings. I never wanted to parachute in and take away footage. I began a process of discovery with Wendell and his people, and the resulting film is my love letter to Detroit. 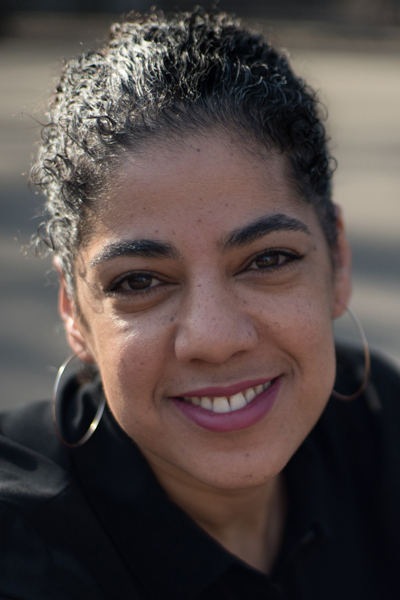 Pam Sporn is a Bronx based documentary filmmaker, educator, and activist. She loves listening to people tell stories about standing up to injustice in their own unique, subtle, and not so subtle, ways. 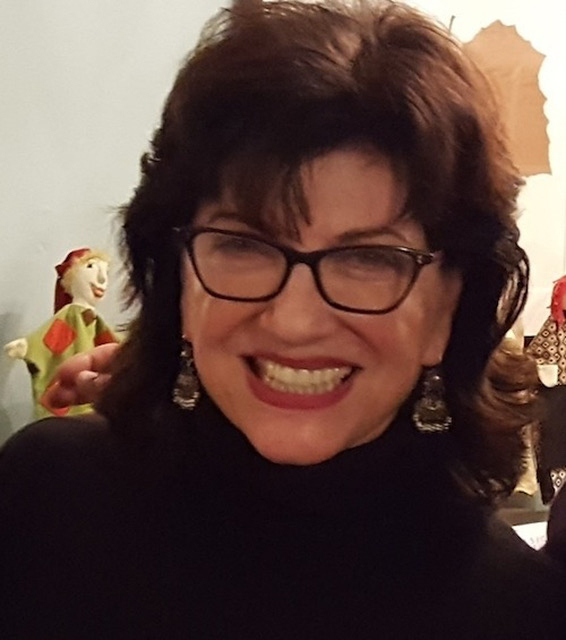 A pioneer in bringing social issue documentary making into NYC high schools in the 1980s and 1990s, Pam substantively contributed to the growth of the youth media movement. In addition to DETROIT 48202: CONVERSATIONS ALONG A POSTAL ROUTE, Pam’s work includes the documentaries CUBAN ROOTS/BRONX STORIES, WITH A STROKE OF THE CHAVETA, REMEMBERING THE MAMONCILLO TREE, and DISOBEYING ORDERS: GI RESISTANCE TO THE VIETNAM WAR. 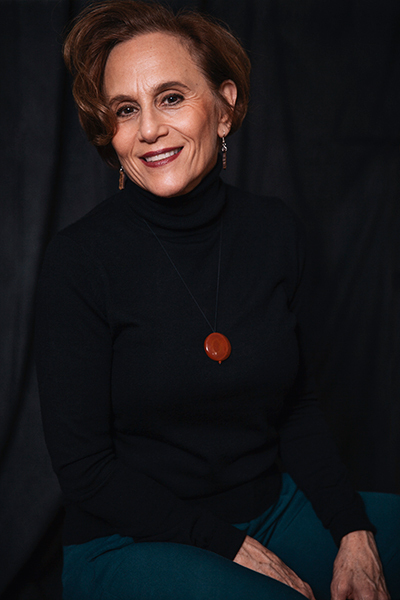 Pam has received numerous grants and awards including: JustFilms/Ford Foundation, the New York State Council on the Arts, the Puffin Foundation, Latino Public Broadcasting, CUNY Caribbean Exchange, and the Bronx Council on the Arts. Kathryn Barnier has many years experience editing documentary features. Her work has aired on PBS, The Discovery Channel, The History Channel, Lifetime, and Channel 4 UK. Kathryn edited MY BROOKLYN, directed by Kelly Anderson, BANISHED, directed by Marco Williams, and CARVALHO’S JOURNEY, directed by Steve Rivo. Tami Gold is a filmmaker, visual artist, and professor at Hunter College. Her films have consistently been at the forefront of social justice, focusing on issues of race, gender, sexual identity, labor and the role of police in the United States. Her work has aired on PBS, HBO, at MOMA, the Whitney, The Chicago Arts Institute, The Kennedy Center, the American and British Film Institutes, Sundance, Tribeca and The New York Film Festival. She is recipient of Rockefeller and Guggenheim fellowships. Tami is contributing author of Think/Point/Shoot: Media Ethics, Technology and Global Change (Focal Press 2017). SOLDIERS WITHOUT SWORDS and FREEDOM RIDERS. Lewis is happy and proud to have won an Emmy (2011) and an ACE Eddie (2012) for his work on FREEDOM RIDERS. 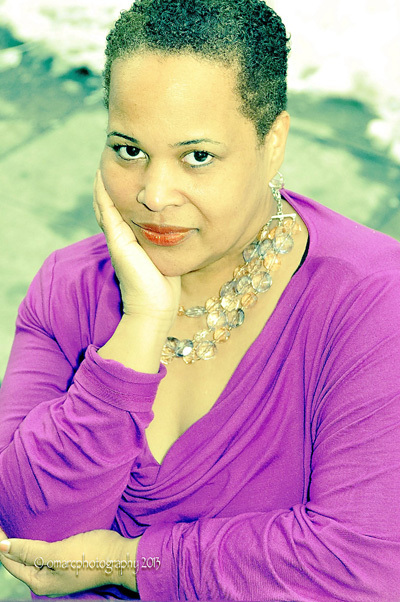 Amilca Palmer is a producer and researcher. She has worked on numerous critically acclaimed documentaries, including the PBS series AFRICAN AMERICAN LIVES WITH HENRY LOUIS GATES, JR. and Stanley Nelson’s Emmy award-winning film THE MURDER OF EMMETT TILL. As Archive Producer she has uncovered rare footage, photography and ephemera for award-winning films, including the Emmy-nominated THE GREAT INVISIBLE and the Peabody Award-winning LENNONYC. Other credits include KOCH, DEEP WEB, and THE TRIALS OF SPRING. Ann Bennett is a documentary filmmaker and multimedia producer with over twenty years of experience. 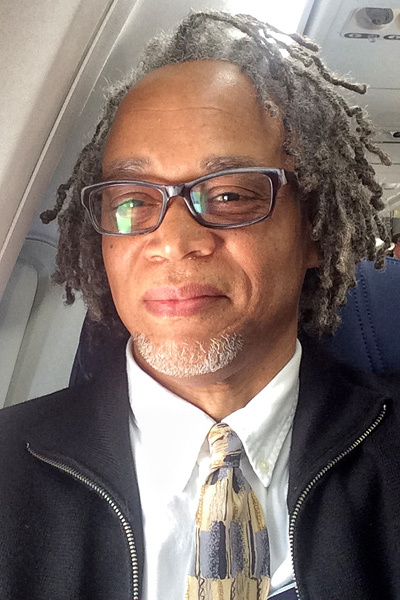 Bennett's production credits include THROUGH A LENS DARKLY: BLACK PHOTOGRAPHERS AND THE EMERGENCE OF A PEOPLE; CITIZEN KING and JUBILEE SINGERS for the PBS series "American Experience," HYMN FOR ALVIN AILEY for "Dance in America," AFRICANS IN AMERICA and AMERICA'S WAR ON POVERTY. Bennett is a graduate of Columbia University Graduate School of Journalism and Harvard College.